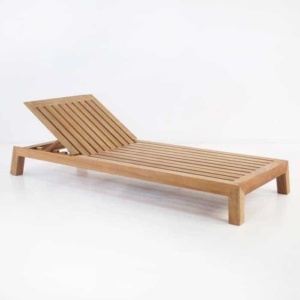 Bask in the warm sun on a quiet afternoon in your own backyard with this Grade-A teak outdoor lounger. 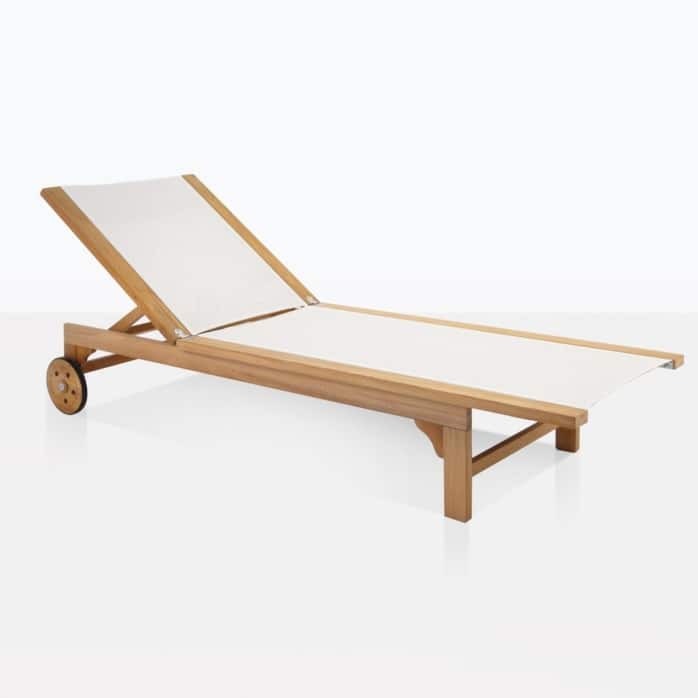 This adjustable lounger is sleek and contemporary; made with A-Grade teak, outdoor mesh, marine grade stainless steel and aluminium. These are superb materials for outdoor use. 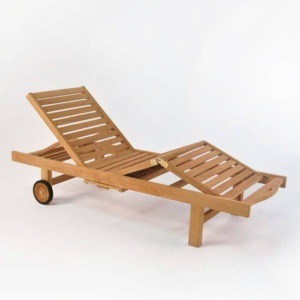 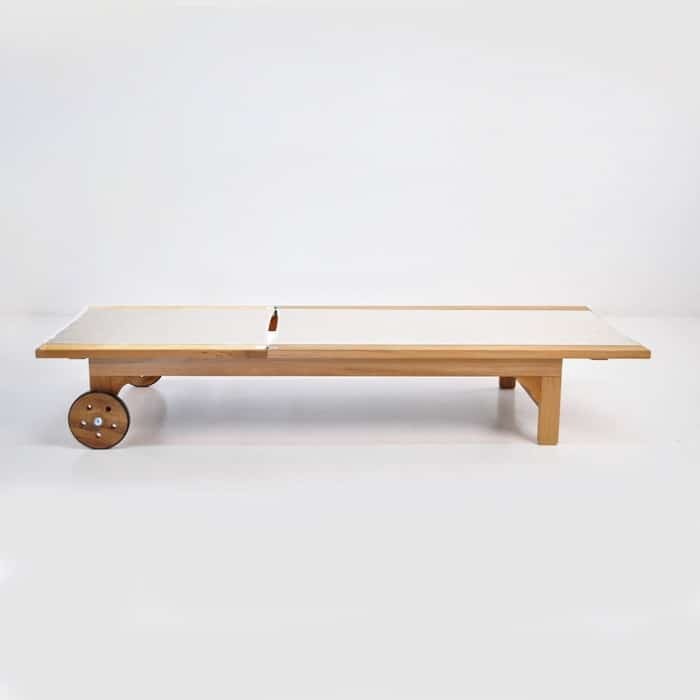 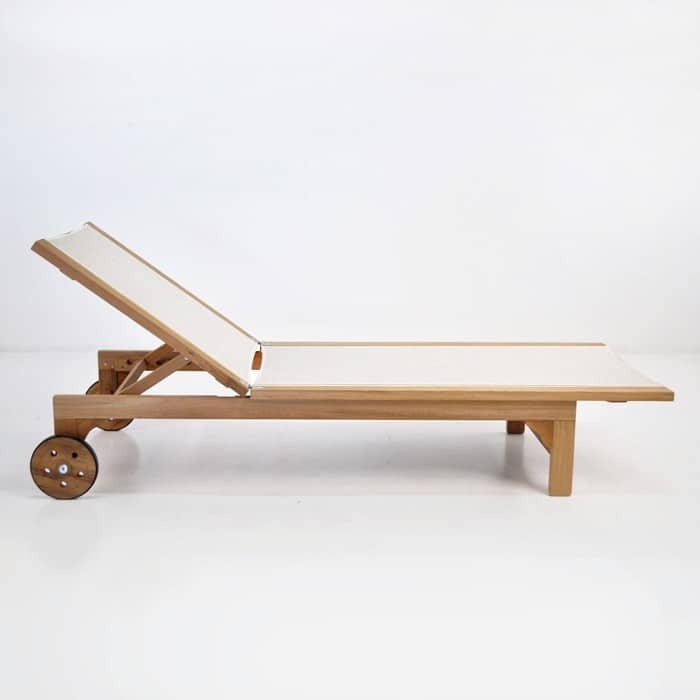 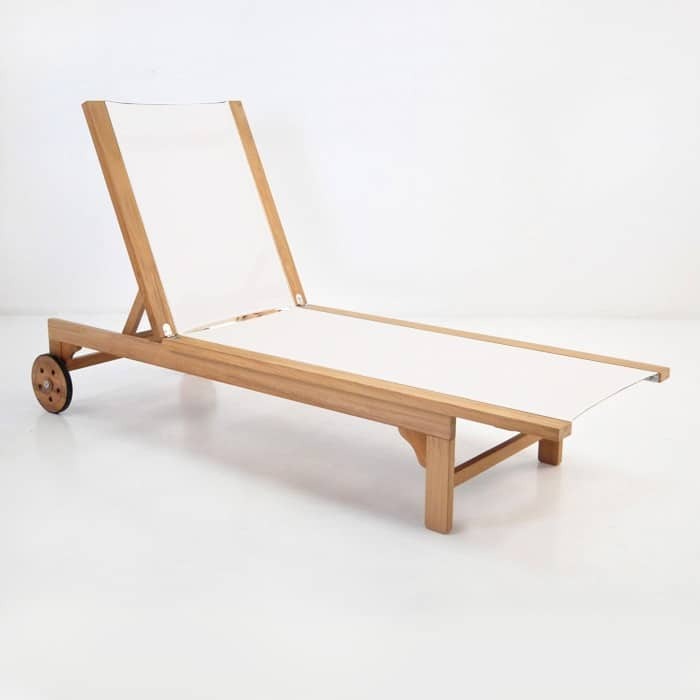 Two wheels make this lounger easy to move around in your outdoor space. We have many different styles of sun loungers for you to choose from. 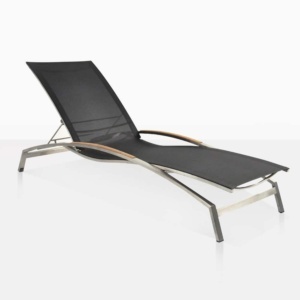 Call us or stop by our showroom today!